Free Shipping Included! 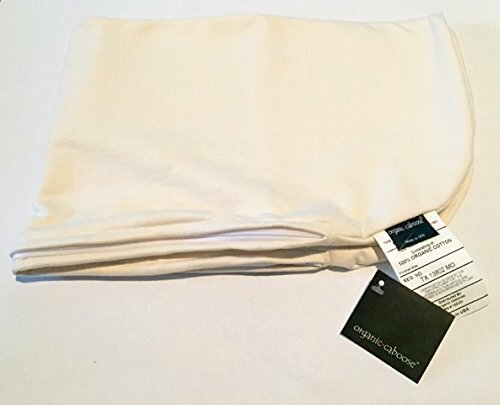 Organic Caboose Organic Cotton Nursing Pillow Cover (Natural & Print Options) by Organic Caboose¬ at My Pregnancy Place. MPN: 1901-NAT. Hurry! Limited time offer. Offer valid only while supplies last. Awarded 2015 Top Choice of the Year Award by Baby Maternity Magazine, our Award winning Organic Cotton Nursing Pillow and Cover are sure to please! Awarded 2015 Top Choice of the Year Award by Baby Maternity Magazine, our Award winning Organic Cotton Nursing Pillow and Cover are sure to please! Perfect accessory to our nursing pillow. Pure organic cotton cover with an easy zipper closure. Machine washable. Organic Caboose¬ was founded in 2004 out of a young mother's house and has evolved into providing a full line of simplistically luxurious organic products that utilize only the softest and most plush USA-sourced fabrics, which are then manufactured in the US as well, supporting our families and communities. Organic Caboose¬ stays true to its legacy and hopes that you, our highly valued customer, and the most important part of our business will continue to support local and US-Made and of course, organic and eco-friendly. We strive to answer any customer inquiries in a timely manner, and live and work in the spirit of continuous improvement, so we always welcome customer feedback and any new product ideas or improvements. Thank you for supporting Organic Caboose¬. Eco. Conscious. Living. If you have any questions about this product by Organic Caboose¬, contact us by completing and submitting the form below. If you are looking for a specif part number, please include it with your message.